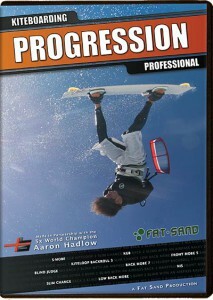 The Progression series of instructional DVDs are here to give you the confidence and motivation to improve quickly and safely. 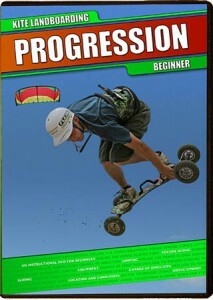 A complete, video based learning resource that supports and builds on everything you may have already, or are about to, learn in the your lessons. 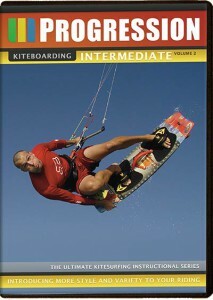 This DVD contains over 2.5 hours of in-depth content and analysis, covering every aspect of beginner kitesurfing from the technical basics to fundamental riding technique. Water re-launch & Self Rescue: Detailed re-launch technique and common problem analysis. Outline of the optimum self rescue process. 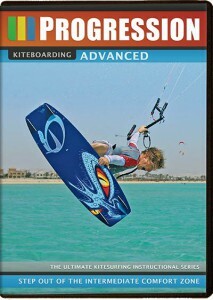 The 2nd Edition of the Beginner DVD is available in English, German (Deutsch) & Japanese (日本語) language.